Cindy Leight, A California native, started her professional career in the optical industry as one of the original co-founders and creators of Oliver Peoples Eyewear. Cindy’s remarkable business sense and impeccable taste for style and design has been a great asset in assisting her in both the optical industry and the real estate market. At the young age of eighteen, her best friend got married and bought her first home. This is all it took to inspire Cindy to become aware of her passion and love for the real estate market. She bought her first home at age twenty-one. During her years in the optical industry, she never took her eye off of real estate. She spent years buying and selling many homes while creating and branding Oliver Peoples. Her son has followed in the family’s footsteps by opening A. Kinney Court in Venice and launching Garrett Leight California Optical in 2010. Cindy’s experience coupled with excellence in all business negotiation and transactions will provide you with the best and smoothest outcome imaginable. 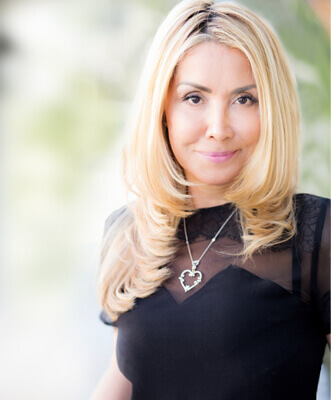 She is superior in relating to her clients’ personal needs and is a highly intuitive listener.Cindy’s skilled aptitude for looking out for your best interests will give you complete confidence in your decision making. There is no intellectual, technical or creative challenge that she will not achieve in delivering you the best outcome in any situation. She understands there is no place like the comforts of home.